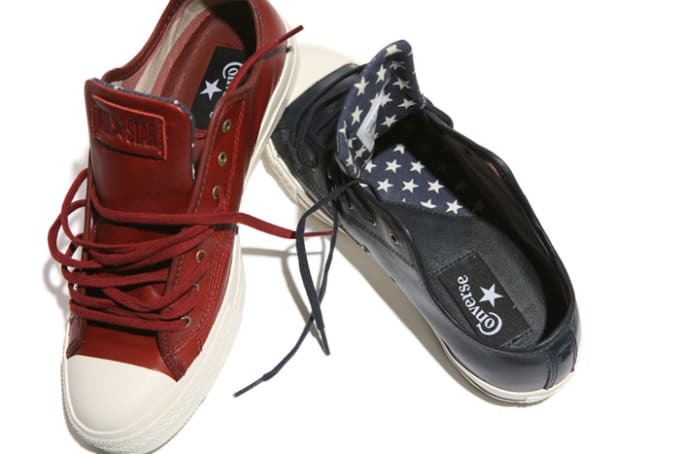 With Memorial Day in the books, Converse looks ahead to the Fourth of July as they craft this set of patriotic Chuck Taylor All Star Ox Premium joints. The low-top leather classics don a premium leather drape and feature imprinted branding on the tongue and heel. The inner lining is a clear tribute to the good ole US of A as our nation&apos;s flag sits pretty inside. Be on the lookout for the crispy-looking duet as they have begun to hit select Converse accounts.